A fantastic range of document enclosed wallets are available for your business at R+R Industrial. 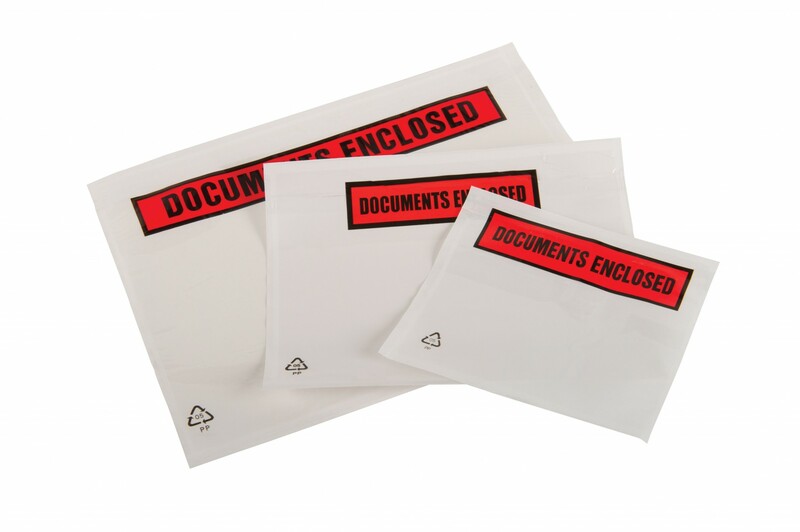 Specifically designed for posting important documents the envelopes are made from a water resistant polythene. The wallets come in an array of different sizes and can be purchased as plain wallets or with a print on them. Self-adhesive strips make sealing the envelopes quick and easy without the need for sealing tape. A must have for those who regularly send documents in the post.